So, you see…the name of this here blog, it’s sending a mixed message. I don’t really want to kill anything, certainly not with a cupcake! So be patient with me, because one day very soon (like, today), you’re going to come back here (I hope) and see a different blog title. But I’m still here, same old me. 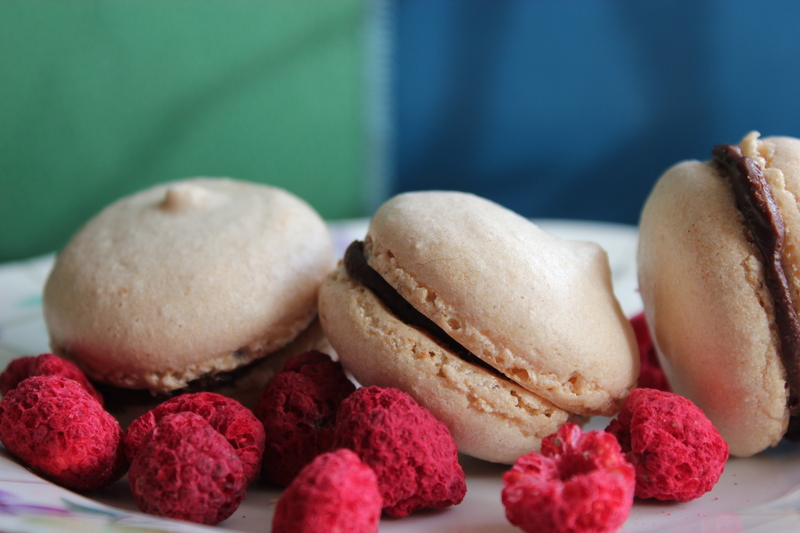 Macarons – Easier than you think! I was meandering around Paris this past October with one of my dearest friends, and I made sure to pick up a giant box of macarons while we were there. I ate some there (probably more than I should have) and oh, so carefully brought the rest back to Amsterdam to share with my boyfriend. Since then, I’ve been wanting to have a go at making them myself. But then. The blogs. The horror stories. Book after book on the “best” way, the “true” way, the “authentic” way of creating the perfect macaron. 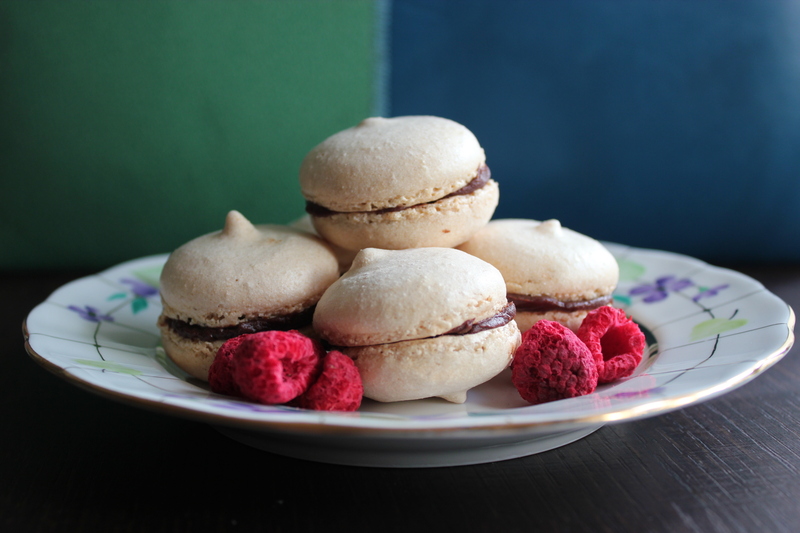 I was intrigued by a post on Foodgawker from BraveTart called “Macaron Mythbusters”. Motivated by the astute myth-busting and with a renewed sense of confidence, I decided to have a go. Cold egg whites, no resting once piped…and you know what, it worked! 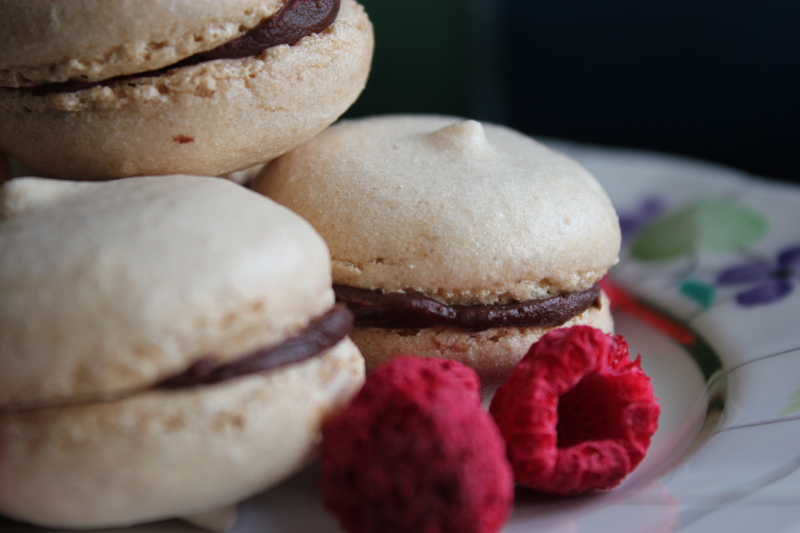 The shells had a smooth top, with the airy and chewy texture that makes a good macaron melt in your mouth. Not all the macarons came out with the lovely little feet, and they had little hats on top because I didn’t have the correct piping tip, but still, pretty good for a first try! So BraveTart, you were right! Thanks for debunking the anxiety and fear that comes with making macarons. I’m excited to make more! Happy Paddy’s Day! 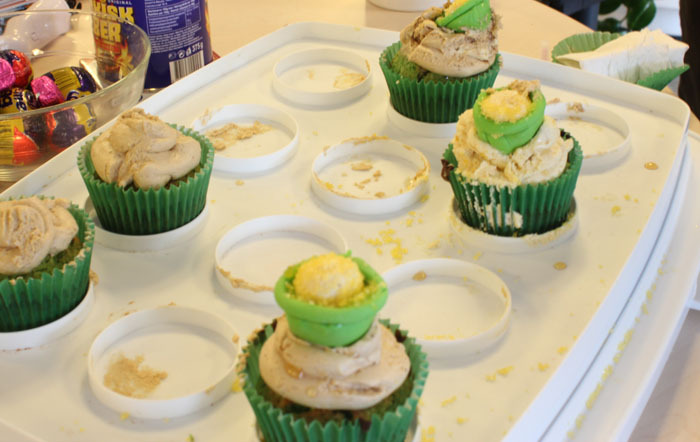 Seamus O’Shaughnessy Cupcakes! Happy St. Patrick’s Day or Happy Paddy’s Day – those are the only two acceptable ways of saying or spelling it. Thanks to my jaunty Irish friend, Fergal, for the clarification. 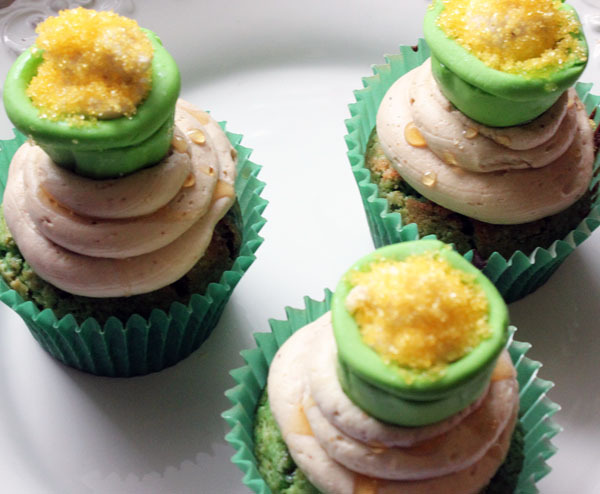 To celebrate, I concocted the mother of Irish-inspired cupcakes. Meet -The Seamus O’Shaughnessy! The cake is drunk with Baileys. I actually subbed the entire quantity of milk with Baileys. I split the batter and tinted half of it green, and then swirled it together. The frosting is a Swiss Meringue Buttercream – BUT instead of regular butter, I used butter that I had browned and re-chilled. To add another Irish dimension of flavour, I infused the frosting with a Guinness (stout) syrup. 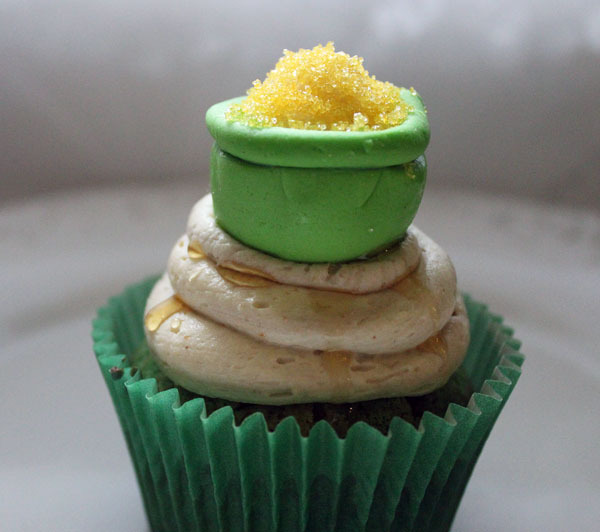 The cupcake is topped with a green fondant pot, filled with buttercream, and topped with bright gold sugar. Finally, the cupcake is drizzled with a Jameson whisky syrup.